In this IMEI repairing tutorial, we tried our best to describe all the IMEI flashing steps with all necessary screenshots which will help you to learn everything in the easy way. 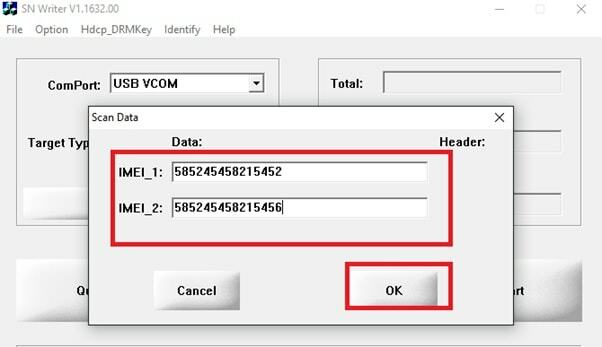 Remember this IMEI flashing tool [SNWrite Tool] is only and only for MTK [mediatek] chipset based mobile phones and tablets. Don’t try to use it on any chipset mobiles like Qualcomm and SPD etc. 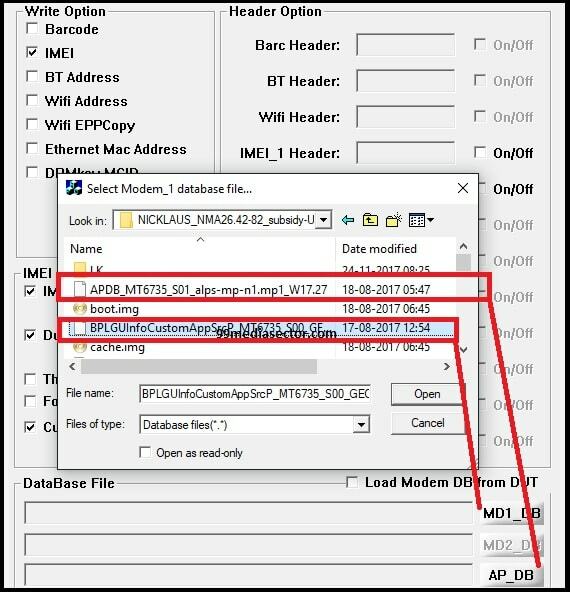 Every chipset require the specific IMEI flash tool and it’s may be different for different devices according to their chipset and baseband. Now come to the point and see how it’s easy to repair MTK IMEI problem using SN Write IMEI tool? Repair null IMEI or invalid IMEI issue by flashing IMEI on any MTK phones. Write new IMEI number using SN Write tool. 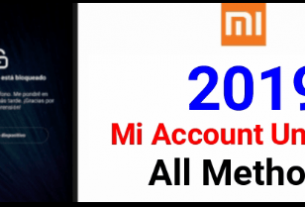 User can change IMEI number using SN Write tool [Only MediaTek]. Fix mobile network issue if IMEI invalid. MTK Bluetooth address error solved using SN write tool. Repair single IMEI on MTK using SN write tool. User may write upto 4 IMEI at a time. That means, flash multiple IMEI on mtk mobile phones. 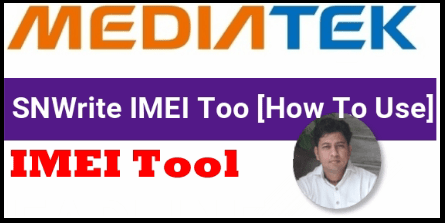 100% working and tested IMEI repair tool for mediatek phones. Download latest version of SN Write IMEI Repair tool. Working USB cable and pc. 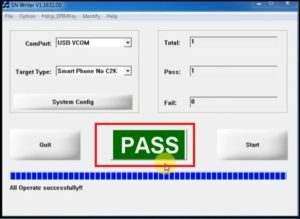 Once the device detected by the tool, IMEI flashing process will start automatically and you will see the Green PASS message on the tool. Q1. 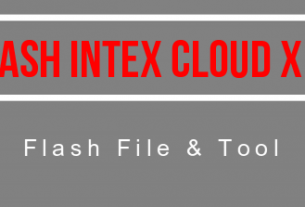 can I use SN Write IMEI tool to flash multiple IMEI at the same time? Ans. 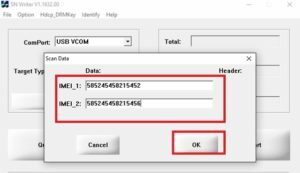 Yes, SN Write tool allows user to flash multiple IMEI as well as single IMEI. Q2. On SN write tool supporting devices. Ans. Basically it’s a MTK IMEI flash tool. 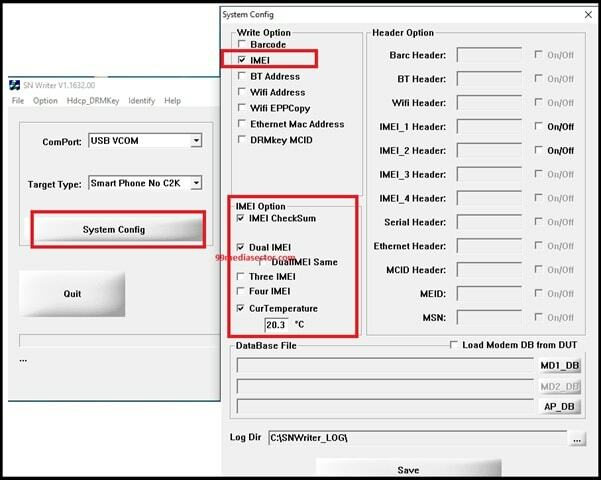 So you can use SN write tool to write IMEI on any MTK chipset based devices like feature phone, Smartphone [android] and tablets etc. Q3. Is it safe to use SN Write tool to write IMEI number on mobile? Ans. SN Write tool is an official MTK IMEI repair tool. 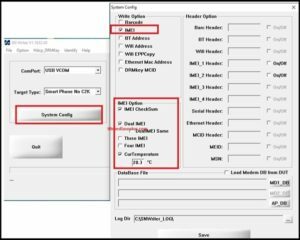 Q4 Can I change MTK IMEI using SN Write tool? Ans. IMEI repairing and IMEIO changing both are different tasks. If you are getting null IMEI issue or invalid IMEI issue on your mobile then it’s fine and legal. But we never recommend you to change IMEI of the device. It’s crime according the law. 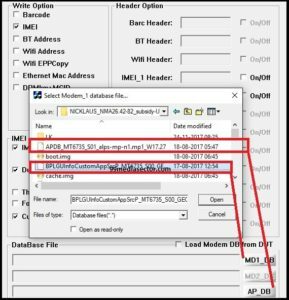 Q5 How to find IMEI number of the device? Ans. Simple dial *#06# or open back cover of the device and note down original IMEI number of the device. Otherwise you may check original billing slip to check IMEI number. This is all about “how to use SN write tool to write IMEI number on the device” or “how to repair MTK imei invalid isuue?” Simply download latest SN write tool, follow the tutorial as shown above and fix null IMEI or invalid IMEI issue on the device easily. 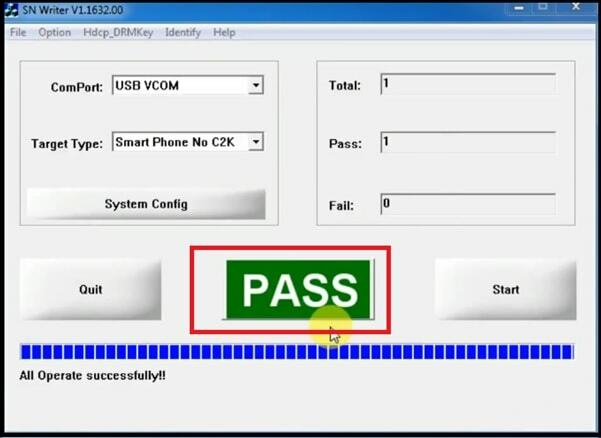 It’s 100% working and tested MTK imei repair tool, so no need to worry about stability. 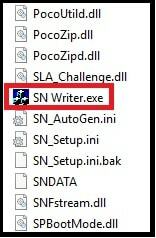 I hope this guide helps you to know more about how to use SN write tool and now you can do it at your own home. Till now getting any issue in any step or have any quarry in any step, please notify us by leaving your comment.